This is for the Pivot Brackets only. Please note that hanging clamps and stand are sold separately. Please note: Most hanging files centers and stands come with pivot brackets (also known as hangers) included. You do not need these if you are buying a rack or stand. 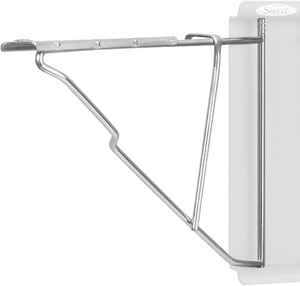 These replacement pivot brackets are usually purchased when your rack or stand has bent or missing pivot brackets. 12 (one dozen) Pivot Brackets.